There's never been a better time to be meatless in America. 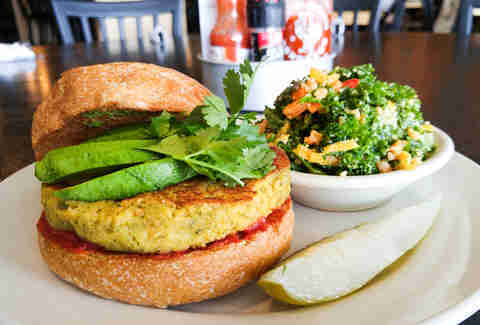 Plant-based burgers are achieving the impossible. People are figuring out how to make incredible burgers out of cantaloupe. They're making huge strides in lab-grown meat, although the vegetarian status of that is certainly up for debate. 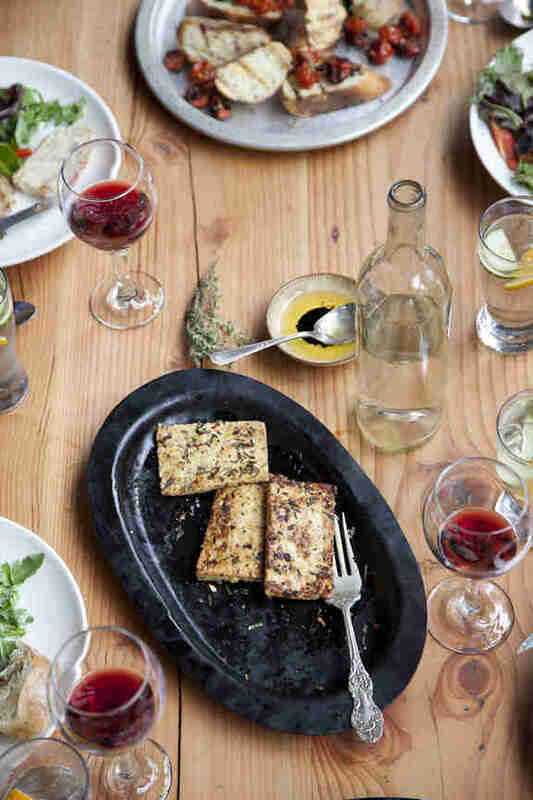 Also, perhaps most importantly, these 21 plant-based restaurants exist as not just fantastic examples of vegan and vegetarian fare*, but top restaurants, period. *A quick note on nomenclature: many of the restaurants on this list adhere to a strictly vegan menu, but some allow for a bit of dairy wiggle room. All of them have, at minimum, a robust lineup of vegan offerings. Blossoming Lotus has quietly endured for the past decade, a small, elegant destination for plant lovers tucked amid the strip malls and chain restaurants of Portland's Lloyd District. 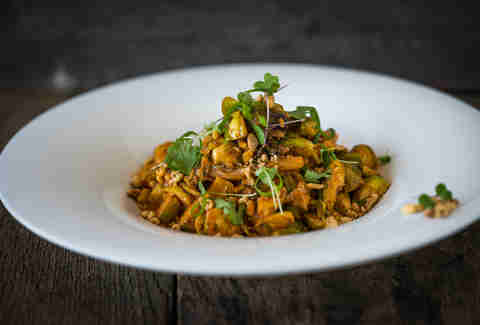 And for good reason: Dishes like the chickpea chana masala curry and a bibimbap with peanut soy curls get huge marks for culling tremendous flavors from their Asian influences, while the place’s house-made “cheeses” are rich and creamy enough to give a Wisconsonite pause, especially in the killer mac & cheese kicked up with herb breadcrumbs. Throw in a selection of raw options and killer smoothies (and smoothie bowls), and it’s no wonder the place has managed to survive as long as it has. The real wonder is why not nearly enough people are talking about it. 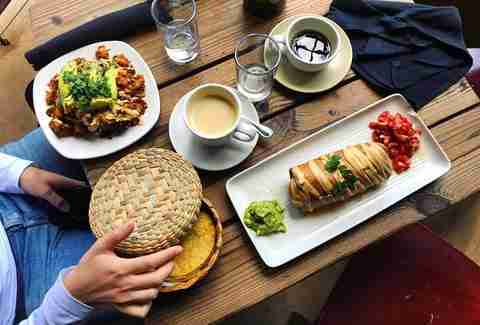 Many an Austin herbivore will brave Bouldin Creek's inevitably robust brunch line because they're hopelessly hooked on the vegan chorizo at this popular plant-based diner and coffee house. They're not just a Tex-Mex operation, however -- you'll find a hearty soul food plate with beans and maple-braised collards accompanied by a hunk of vegan cornbread, a massaman curry bowl studded with mushrooms and zucchini, and and Italian riff on fajitas (you're still in Texas). Don't miss scratch vegan desserts like pear gingerbread upside down cake and blueberry lavender pie. 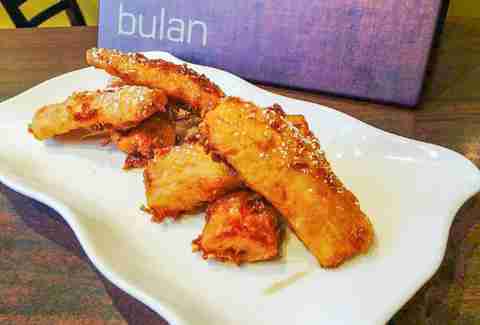 Whether you're a vegetarian or not, Bulan is a beloved Thai treasure that won't leave you compromising taste (or general happiness) with its meatless menu. Well-known for having an incredibly attentive staff, they take traditional Thai dishes and creatively turn them into bold and delicious vegetized versions that still manage to pack the same punch. Soy Thai iced teas, satisfyingly juicy deep-fried veggie hot wings, and umami-rich "chicken" pad see-ew (pan-fried flat rice noodles with broccoli) keep Angelenos of all levels of carnivorousness coming back to curb their Thai cravings. 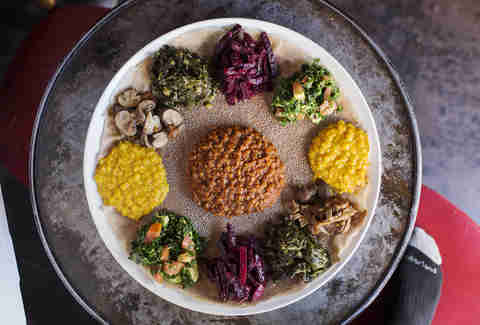 Ethiopian cuisine is generally fairly vegan-friendly to begin with, but Bunna Cafe's revelatory, entirely vegan take on it has made it stand out, first as a pop-up and Smorgusburg vendor that transitioned to brick-and-mortar status a few years back. Find a hungry friend, split the feast for two, and find yourself treated to a spread of nine veggie-based dishes like shiro (a mash of fragrant yellow split peas simmered in spices) and misir wot (spiced red lentils) heaped onto injera flatbread -- there's more of it on the side for your scooping and eating convenience. There's always a different seasonal special in the mix, which gives you some incentive to return, not that you needed it. 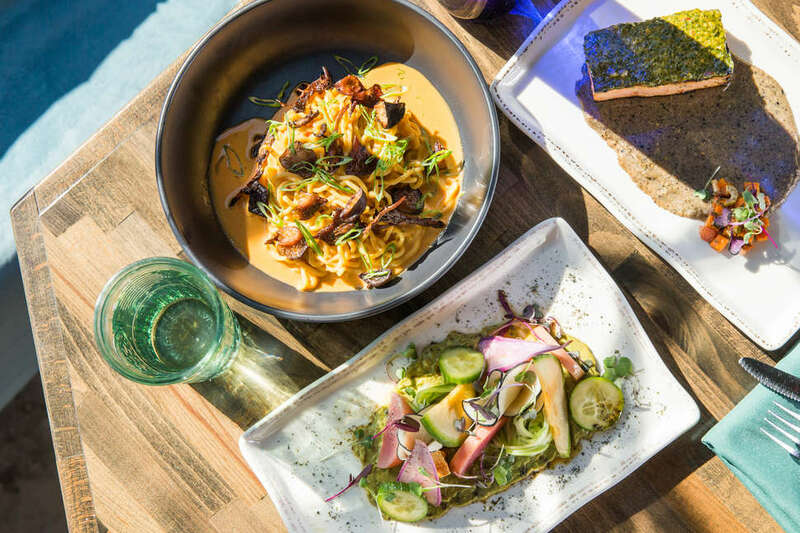 This sophisticated Melrose Avenue institution offers seasonally evolving Mediterranean-inspired small plates and well-crafted cocktails for an upscale, plant-based dining experience. 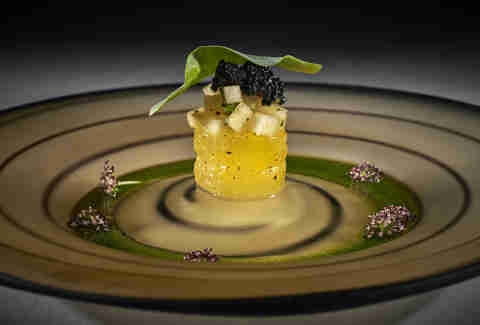 Their artichoke oysters center around a crispy oyster mushroom (although, some do argue that oysters themselves are vegan-friendly) enhanced with artichoke puree, yellow tomato bearnaise, and kelp caviar. "Crabcakes" are made with hearts of palm, presently sidekicked by Granny Smith apples, roasted beets, and horseradish aioli. Mustard-glazed parsnips with fermented cabbage are actually... parsnips and cabbage. Not everything has to be clever. Elizabeth's Gone Raw is a culinary gift to the world (veghead or not) opened by Elizabeth Petty, who was introduced to the benefits of vegan and raw foods when she was fighting breast cancer. 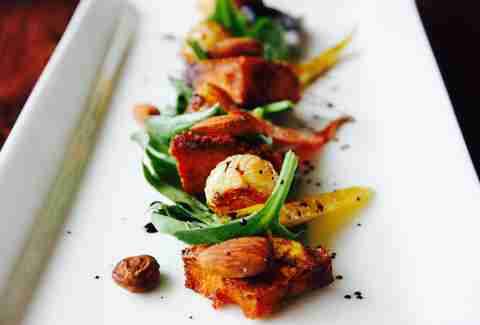 Only open on Friday nights, you don't even have a say in what you're eating, as they only have a prix fixe six-course tasting menu that changes on a weekly basis. Past menus have included savory options like smoked "crab" flan, roasted "chicken" with quinoa, peaches, fennel, marjoram & pink peppercorn, black truffle-fried cauliflower with sun-dried tomato sauce, and white peach & jasmine crisp. Sure, your final bill may well approach steakhouse prices, but a dining experience this masterful is worth the price. 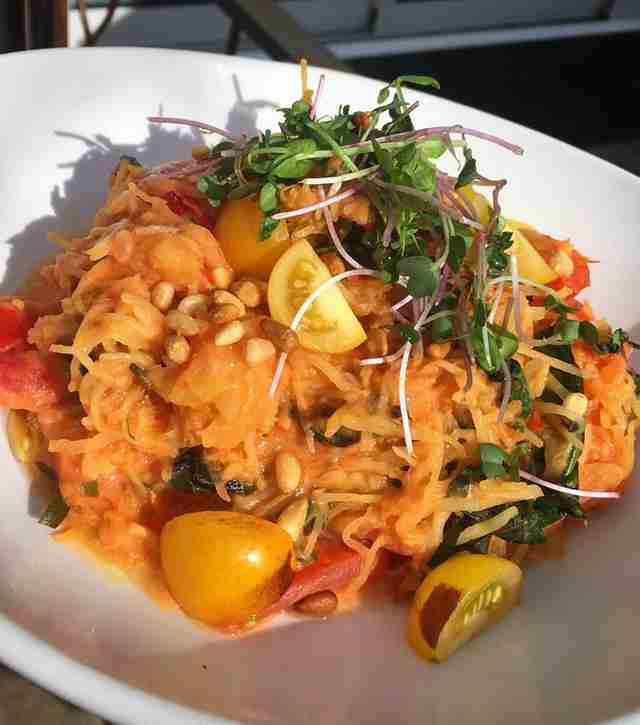 Just like bipartisanship these days, DC also doesn't have a lot of vegan restaurants, though that is changing thanks to chefs Richard Landau and Kate Jacoby. 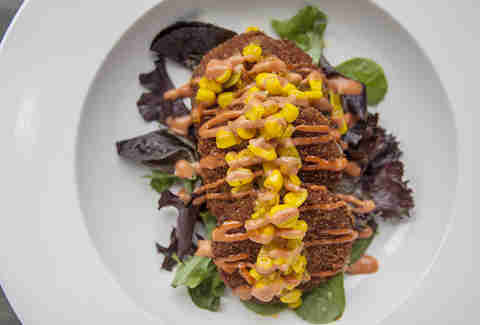 The plant-based empire builders recently expanded their reach to the nation's capital from Philadelphia — where they run beloved vegan restaurants like Vedge — to the nation's capital with Fancy Radish. The space is decidedly relaxed and people are too busy stuffing their faces with impossibly melty and somehow dairy-free rutabaga fondue, BLT sandwiches starring shiitake "bacon," and twirls of ramen "carbonara" to talk politics. The couple's approach to cooking — which is too just celebrate vegetables without any of the vegan rhetoric — is easy to see in every dish. It's the best way to get your fill of vegetables without having to pound a tub of salad. 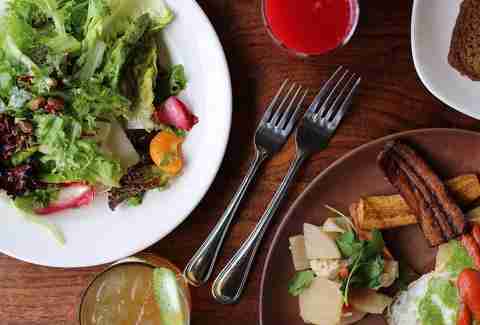 It's no wonder Thrillist named it one of the 13 best new restaurants in the country last year. What started as Mexican meals Terces Engelhart cooked on the Be Love Farm for those around her morphed into Gracias Madre when she discovered there was nowhere in the Bay Area to consistently get vegan, non-GMO Mexican. Since that important realization, everyone vegan, vegetarian, and otherwise has flocked to the Mission eatery (which now has a SoCal outpost in West Hollywood as well) for her incredible plantain-filled empanadas, enchiladas con mole with cashew cheese, and pretty much everything else. Where Are All the Vegetarian TV Shows? An OG on the vegetarian front that goes back to 1979, Greens is the real deal: A legit, upscale restaurant in a striking space within Fort Mason that basically showed America that you can still eat really, really well without all the meat and cream and all the other things that were associated with fine dining back during the fall of disco (and still are, to some extent). Though founding chef Deborah Madison has passed the reigns onto Annie Somerville (who herself has been there since '81), the food continues to pull in people from all across the world. You’re not to mess around here: get the prix fixe, sit back, and be blown away when you realize all the next-level things she can do without the magic crutch of bacon. This Logan Square favorite has built up quite the following in recent years largely on the strength of shockingly satisfying sandwiches like their take on the Jibarito, a vegified take on the classic Puerto Rican sandwich which houses homemade seitan, poblano, onion, garlic, greens, American cheese, and garlic mayo between smashed plantains. Their po-boy is stuff with juicy, battered portabello nuggets that provide a satisfying base for pickled red onions, spicy greens, and garlicky aioli. Staying Southern (at least relative to Chicago) their Nashville hot tofu with garlic smashed potatoes and beer-braised kale is as tasty as it is face-meltingly spicy. May God's love be with you. 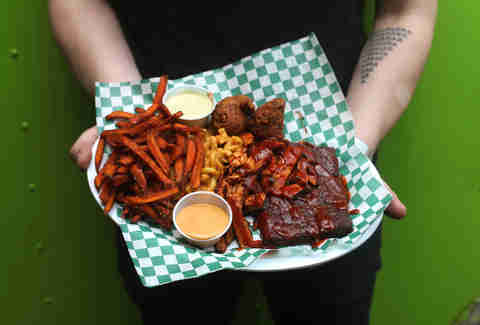 Most barbecue lovers would likely scoff at the idea idea of full-on vegan barbecue... that is, until they got a taste of this cart-turned-restaurant’s incredibly smoky tempeh ribs and hearty seitan burgers, especially the one covered with the joint’s stellar MacNocheese. Portland’s currently in a barbecue boom, so it stands to reason that a vegan place would pop up eventually, but the real surprise is how singularly delicious the wares are at this place, be them amped-up postmaster takes on fake meats like soy-based smoked chicken and tofu fish fillets or stellar and familiar sides like beans and grits. 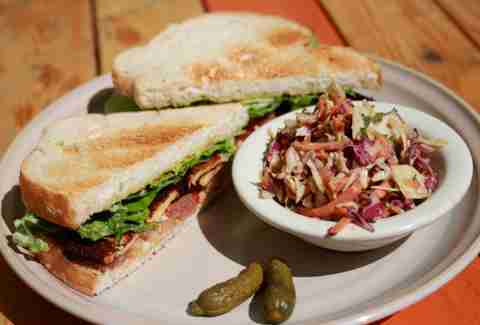 If barbecue is a religion, Homegrown Smoker is officially the Church of Seitan. Started by a Minnesotan who grew tired of being the menu afterthought amongst a table of more carnivorous friends, J. Selby's has hordes of Twin Cities residents rethinking their Jucy Lucy habit since debuting in April 2017. 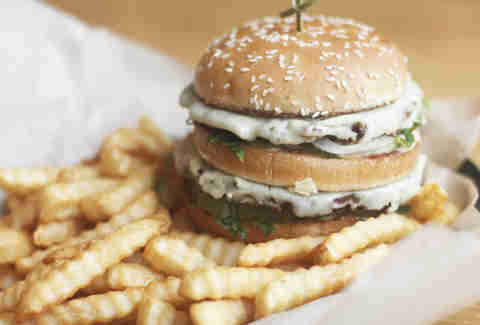 Their "Dirty Secret" is an addictive plant-based rendition of a certain special sauced, sesame seeded signature burger found at a prominent fast-food chain. 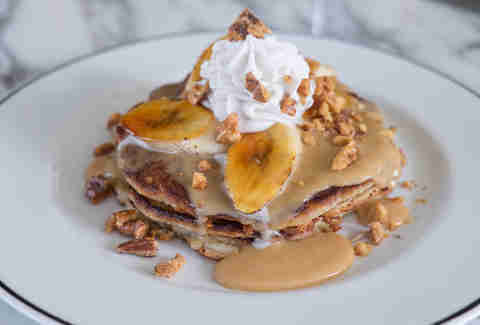 Their take on a Philly cheesesteak will also surprise you, and come brunch time, their rib-sticking biscuits and gravy get an assist with breakfast "sausage" from the Herbivorious Butcher, a local (you guessed it) plant-based butcher that also supplies the "beaf" for the aforementioned creations. 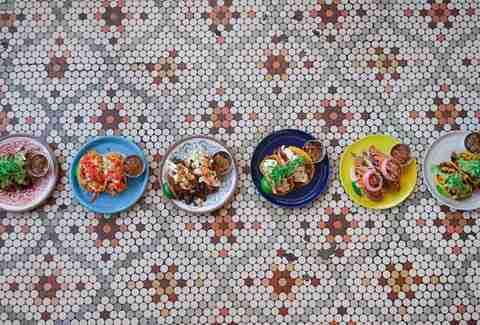 The name might sound like laughter, but the food at Jajaja is no joke. The perception of Mexican food in the United States is that it's a cuisine heavy in gooey cheese, greasy meats, and plenty of sour cream — Jajaja will show you otherwise. The Instagram-friendly dining room serves up a variety of plates you might expect to find at your local Mexican spot — just with some plant-based modifications. Nachos still arrive to the table piled high and dripping with toppings, except cheese is swapped for a turmeric-nut queso fundido. 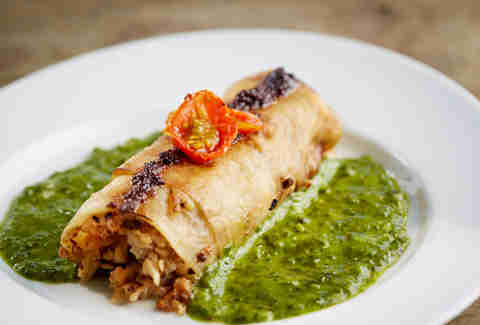 In the earthy enchiladas mole, a meat filling is swapped for shredded hearts of palm "carnitas" and tossed with a coconut queso. And yes, there are "fish" tacos, but the protein is swapped for a flax seed-battered chayote squash that is fried and stuffed into a tortilla with chipotle almond butter and pickled red onion for an extra punch of flavor. Kindred's cocktail game is strong enough that it's perfectly reasonable to head there with no intention of doing anything but drink, but if that's your plan you're depriving yourself of some serious vegetable wizardry courtesy of Kory Stetina (who ran a series of popular vegan pop-ups in the area) and Jeremy Scullin (a vet of Philadelphia's Vedge -- see further down the list). You'll find a stunningly beautiful beet risotto with sweet potato scallops alongside a Memphis BBQ sandwich made with jackfruit (which you may have heard does a credible pork impersonation). So yeah, don't come here just to drink -- but also, don't miss the drinks! While Boulder's rep as a hippie paradise makes it seem like there's a vegetarian restaurant (and a dispensary) on every corner, that couldn't be further from the truth (on both counts, though the latter are certainly multiplying). 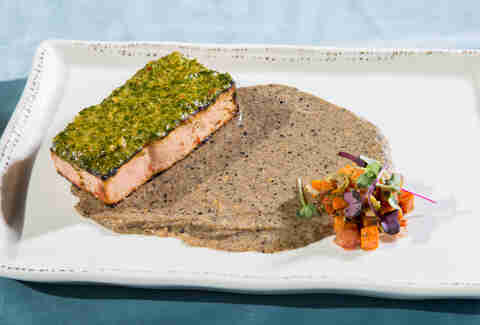 So while Leaf could coast as being one of the town's few veg-only options, they instead rise above the typical old-school portobello burger and offer elevated fare like the crowd-pleasing Jamaican jerk tempeh with forbidden black rice and coconut plantain sauce, plus a seitan shwarma with quinoa tabouli. And they grab bonus points for sourcing a good portion of produce from their own organic farm. Modern Love (the second restaurant on this list whose name lends itself to Bowie references) opened in 2016 under the helm of vegan cookbook author Isa Chandra Moskowitz, whose wide-ranging menu pulls its influences from the vast array of cuisines she experienced growing up in New York and carried with her when she opened her first restaurant in Omaha in 2014. 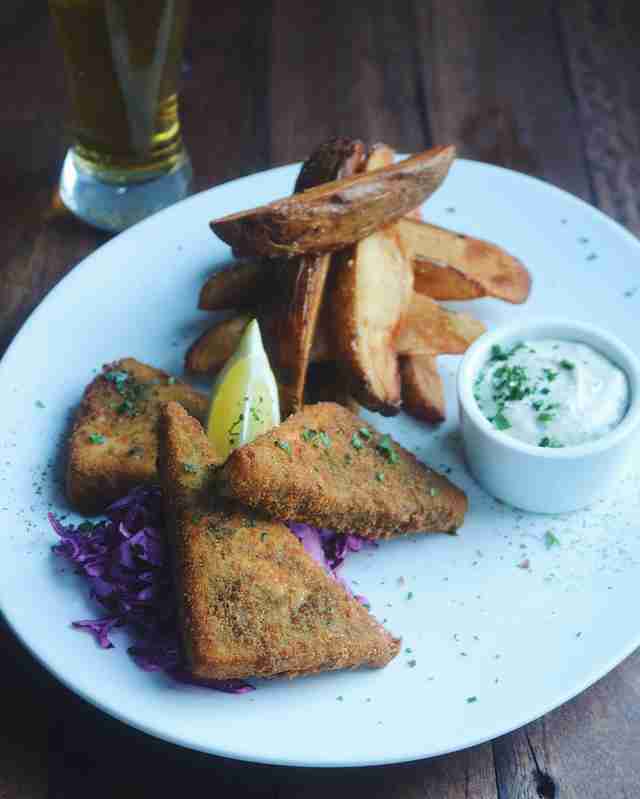 That means starters like almond cheese-stuffed arancini, creamy borscht, and five-spiced cauliflower wings with kimchi give way to oyster mushroom scampi and rosemary-kissed seitan chops with applesauce. If you can thrive equally among the fierce competition of Brooklyn and the steak-inclined denizens of Omaha, you're probably doing something (or all the things) right. Chef Jason Sellers heads up the kitchen in the warm and intimate Asheville favorite, crafting artful dishes with strong and complex flavors, like a raw lasagna with herbed almond cheese and marinated peppers, tofu bibimbap with pickled shitakes and purple cabbage, and seitan chile con queso with grilled romaine. Vegan desserts don't hold back either, from saffron creme brulee with poached Asian pear to the impossibly indulgent chocolate and peanut butter blackout pie. 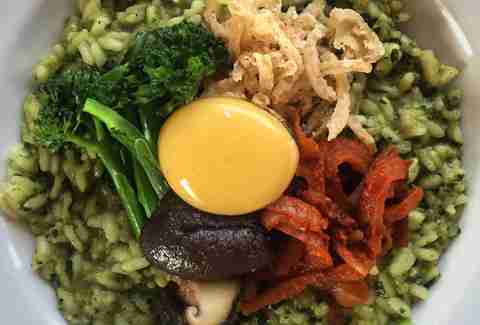 This vegan Seattle go-to reworks simple and traditional American fare into meatless masterpieces. Wooden furniture, flowers, and plants abound here, giving it an earthy vibe made even more pleasant when they open up the big garage doors out front when it's mercifully not raining. The Mac 'N' Yease is their signature dish, and while the texture does differ from that of real cheese, it remains deliciously cheesy and silky, and won't disappoint even the most ardent dairy enthusiasts. As for the portobello burger, it's huge and hearty, and as one would expect from a deep-fried, panko-coated 'shroom topped with Buffalo hot sauce, ranch, grilled onions, cucumber, and greens with the requisite sidekick of russet fries. Stuffed inside a rather restaurant-heavy corridor of an unassuming Boston suburb, you'll find Red Lentil, and while the rest of the block is filled to the brim with wing joints and pizza places, you'll inevitably find yourself lured to Red Lentil's front door by the crowds outside and the aromas of their killer seasonal offerings. A friendly neighborhood restaurant with a menu of vegetarian dishes from all over the world, Red Lentil's a favorite for its legendary "Gobi Manchurian," consisting of fried cauliflower in a sweet & spicy tomato sauce. 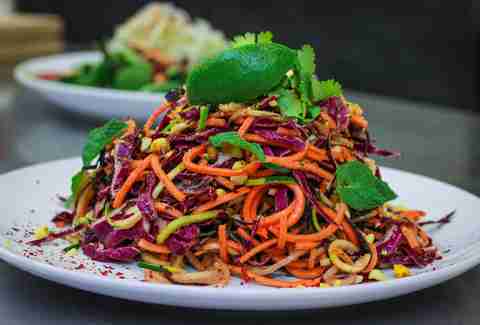 Seva is now in its fifth decade of turning Wolverings onto veggies (they now have a sister restaurant in midtown Detroit as well). While they do allow for dairy on the menu, much of it can be substituted with plant based-alternatives to go full-vegan, as is the case with the beloved calabaza queso, a satisfying dip that gets its orange hue from the squash that serves as its centerpiece. You'll also find tempura-battered General Tso's cauliflower and spaghetti with tempeh-walnut meatballs, and black-bean sweet potato quesadillas. Don't duck out before having the vegan pumpkin pecan tart with brown sugar shortbread crust and a scoop of also-vegan volcano salt vanilla ice cream from Detroit's ice cream plant. 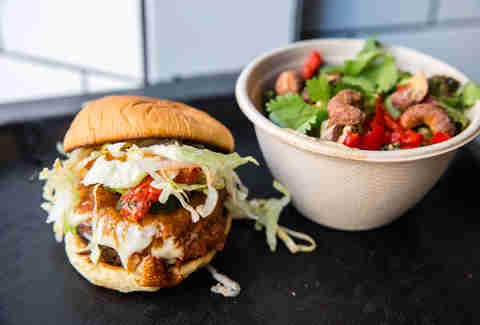 Brooks Headley's vegetarian burger operation launched in 2015 and has had New Yorkers reevaluating their stance on veggie burgers pretty much from the beginning. The melty Muenster on the small but mighty burger (the patty's primarily made from beans, nuts, and quinoa) is definitely part of the satisfaction, but the vegan rendition still impresses as well. Definitely save room for some of the specials inevitably dotting the wall, however, as there's a solid chance you'll find yourself craving it upon your inevitable return, only to see it replaced with something else amazing. Since opening in 2011, husband-and-wife team Richard Landau and Kate Jacoby's aptly named restaurant has been one of Philly's (and arguably America's) best restaurants of any type, plant-based menu or not. Dishes are thoughtfully conceptualized and artfully plated like portabello carpaccio with caper puree and deviled kohlrahbi. Wood-roasted carrots are served with carrot mustard and carrot kraut as well as pumpernickel and garbanzos (hey who let them in?). Smoked eggplant braciole with Italian salsa verde and cured olived just might convince you they've stashed a vegan Nonna in the back somewhere. As a bonus, the beverage program lives up to the thoughtfulness of the plates at every turn. Rachel Freeman, Khushbu Shah, and Matt Lynch contributed their veggie-fueled thoughts to this article.